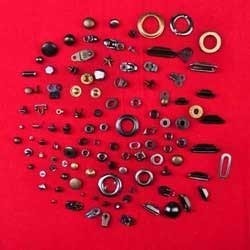 Our clients can avail from us, superior range of Eyelets and Hooks which are available in different shapes, sizes and colors. We manufacturer, exporter and supply using Different metals like Brass, Iron and Aluminium. 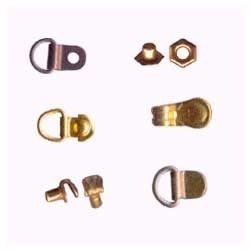 Our ranges of products include Shoe Eyelets, Box Eyelets, Buttons, Shoe Hooks, Steel Patti Material, Rivets, Bazari and many more. 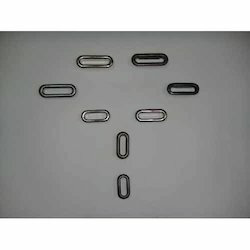 These products are highly demanded for their impeccable design, smooth finish, fashionable appeal, corrosion resistance, light weight, dimensional accuracy, and excellent performances and are high durability. Clients can avail these as per their own requirement and at an affordable prices.Available in different finishes & on special request we can supply the products Nickel free and Lead free. 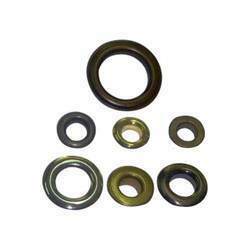 We have gained vast expertise in offering a superior range of Brass Eyelets that are well known for their long lasting service and come with perfect finish. These are available in multiple shapes and sizes which help in meeting the diverse needs of varied requirements of clients. Our ranges of these are fabricated using sturdy material that ensures its durability and strength. They are highly demanded for their salient features like dimensional precise, perfect finish and light weight. Utilised in the footwear industry, the Rivets & Buttons manufactured and supplied by have excellent finish and are highly durable. To ensure optimum quality standards, we manufacture these rivets and buttons using quality-approved raw material and advanced technology. As per the variegated demands of clients, we make our rivets & buttons in different sizes, shapes and finishes. Multiple Varity of Eyelets are available in a plenty of colors and designs to choose. 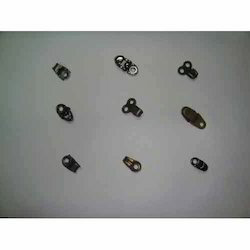 These are widely used as garment embellishments. Our ranges of these are designed with superior quality materials and accordance with the latest fashion trends. We provide these in various sizes, dimensions and shapes as per the clients own requirement. They provide features like nickel free and lead free. These are also checked stringently by quality analysts to ensure that defect free range is supplied to our customers. Clients can avail these at competitive prices. We manufacture and supply Steel Patti Material, D patti with and without hangers using brass, iron and aluminum qualitative materials. These products are available in various styles, shapes and designs and can be custom made to suit the requirements of the customers. Extensively used for the decorations of the sandals and fancy shoes for more attractiveness. These products are highly appreciated for their resistance to corrosion, dimensional accuracy and precise design. Looking for Eyelets and Hooks ?